You find yourself wondering, what is an emotional support animal that no one has yet? Well, when it comes to fascinatingly tiny and active little pets, you can’t go past the hermit crab. Always on the go, hermit crabs spend their time crawling on top of rocks and other items, burrowing in the sand, and investigating every corner of their environment. They may be called hermit crabs, but they’re actually social creatures, and will even stack themselves on top of each other when allowed to live in a large group. So, be sure to have a strong cage if you allow multiple hermit crabs to live with each other because they can use teamwork to break free. Despite being invertebrates, hermit crabs have an exoskeleton that supports the structure of their body. Their two prominent front claws have different purposes, with the larger left claw primarily for defense, and the smaller claw on the right being used to collect water and food. Eight smaller, jointed legs help the hermit crab to move around, and two compound eyes and two pairs of antennae tell the hermit crab everything they need to know about their surroundings. Commonly referred to as a “crabitat,” the hermit crabs’ home is essential to ensure the continuing health and longevity of your new pets. Some hermit crabs come complete with a plastic carrier, and while these make excellent transport solutions or temporary isolation areas for individual hermit crabs, they are not suitable to be used as long-term homes. A better solution is a medium-sized glass aquarium – one that is large enough to provide room for your hermit crabs, their water and food dishes, spare shells, rocks, and other climbing toys. Try not to leave your hermit crabs’ home completely cluttered, as hermit crabs also need unobstructed room to scuttle around when they have a burst of energy. Before adding it to your crabitat, run your fingers through it, expose it to a strong light, and check for insects. Be aware of a musty smell, which is a classic warning sign that the sand has been contaminated by moisture. Hermit crabs rely on other creatures’ discarded shells as a means of protecting their soft abdomen, and as a way of regulating the moisture around their body. Similarly to fish, hermit crabs have gills rather than lungs, making the correct levels of moisture and humidity an essential element to the health of a hermit crab. There are also a wide variety of hermit crab breeds. Extroverts. Hermit crabs are extremely social and are happiest in large colonies. They have even been known to work together to find food and will assist each other in the wild with the task of finding suitable shells. The Shell Cycle. The addition of one new, clean shell can sometimes cause a chain of shell swapping. One hermit crab will discard their current shell and move into the new one, prompting another hermit crab to move into the first crab’s discarded shell, and so on. Shells Cost Money. 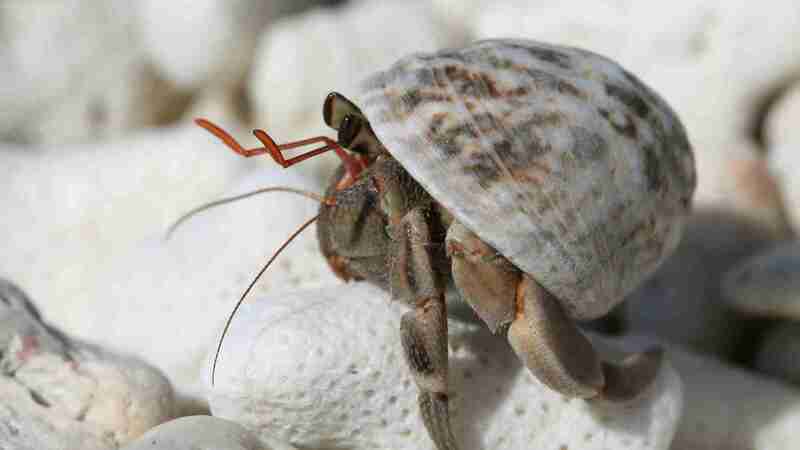 Shells are high currency in the world of hermit crabs, with some crabs happily exchanging shells with each other, while other crabs will aggressively fight for a particular shell. They Reproduce Interestingly. Female hermit crabs can carry, on average, 200 fertilized eggs on the underside of their abdomen until the eggs hatch, after which the larvae will float on the surface of the ocean for a few days and will undergo numerous developmental changes before becoming small hermit crabs. HermitCrabPatch discusses more about hermit crabs, their life cycle, and how to spot a crab with their eggs. Their Size Matters. The size of a hermit crabs shell can, to some extent, determine the ultimate size of a hermit crab. A hermit crab in a small shell will tend to have delayed growth compared to a hermit crab in a larger shell, who will grow relatively quickly to fill out the shell. When it comes to raising happy, healthy hermit crabs, the secret is all about humidity. Since hermit crabs have gills rather than lungs, they require humid air otherwise they risk death by suffocation. A relative humidity of between 70 and 80 percent is the ideal environment for your hermit crabs to thrive. They may not look it, but hermit crabs are omnivores, enjoying a varied diet of animal and plant matter. Hermit crabs kept as pets can be fed commercially-produced food pellets along with a variety of fresh foods. Experiment with different kinds of dried and fresh fruit and vegetables to see what your hermit crabs particularly like. Smaller crabs may need to have their food pellets moistened or crushed. Hermit Crab Without Shell: Can They Survive? While hermit crabs can technically survive without a shell, their soft abdomens mean that they are extremely vulnerable to danger when not in a shell. Hermit crabs instinctively retreat into their shells when faced with any kind of danger, knowing that they have very few other ways of keeping themselves safe without the protection of their shells. What Happens If A Hermit Crab Out of Its Shell? 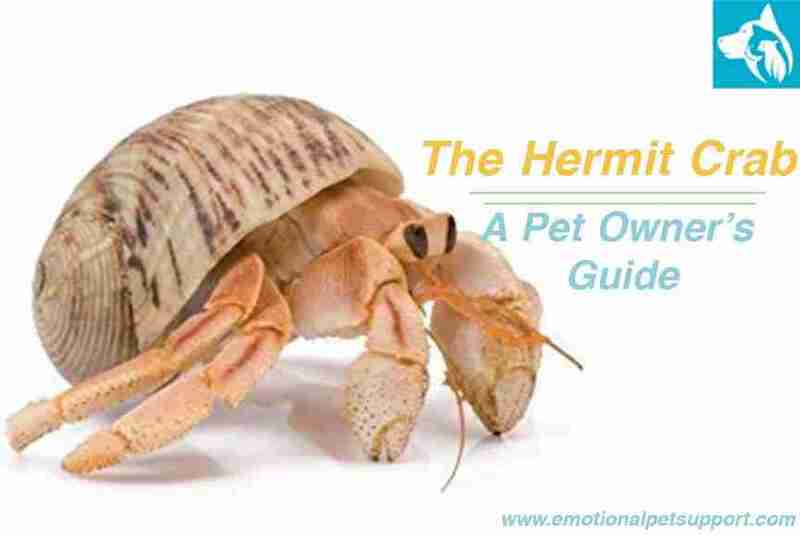 If your hermit crab is out of its shell for any length of time, this is a sign that something may be wrong. Dominant hermit crabs will sometimes forcibly evict another hermit crab from their shell, leaving them homeless and vulnerable until they find a new shell. In other instances, a hermit crab may abandon their shell if the humidity or temperature within the shell is not at the optimum level, or if there are mites, a foreign object, or even a fungal infection within the shell. Check out the gif below of a safe 3D printed shell! The first time a hermit crab owner witnesses one of their pets molting can be a daunting experience. Molting occurs when a hermit crab sheds its exoskeleton, making room for a new one to form. While most hermit crabs will molt, on average, every 18 months, some smaller hermit crabs will molt more often as they rapidly outgrow their old exoskeletons. Molting is a stressful time for a hermit crab, leaving them vulnerable to predators. While it can be tempting to interfere in the molting process, the best thing you can do for your molting hermit crab is to leave them alone. Molting is a perfectly natural process, and your hermit crab knows exactly what needs to be done. The Ecuadorian hermit crab is one of the smallest varieties of hermit crabs, reaching only a half inch in size when fully grown. The Caribbean hermit crab is one of the most common varieties of hermit crabs kept as pets and can grow between 2 and 6 inches during their lifetime. 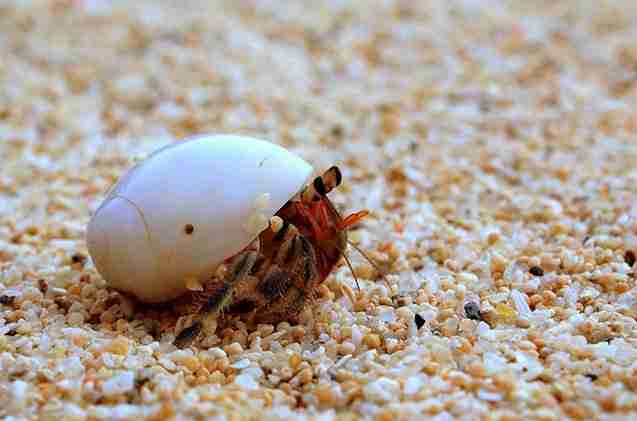 The Coconut hermit crab, on the other hand, is certainly not suitable to be kept as a pet. Growing as big as 40 inches and weighing up to 11 pounds, the Coconut crab is unlike smaller hermit crabs as it eventually discards the use of shells, and develops a sufficiently thick exoskeleton of its own. Given their relatively small size compared to other common pets, it is natural to assume that hermit crabs have a lifespan of a few years at best. Yet in the wild, hermit crabs can live for up to 70 years, while hermit crabs kept as pets can reasonably be expected to live for 20 years or longer with the right food, environment, and care. Purchasing a hermit crab is an endeavor that should not be taken lightly, particularly if you are adding one or more hermit crabs into an existing habitat. You can get a one of these exotic crabs at your local pet store. PetCo is known for carrying an abundant supply of hermit crabs, miniature habitats, and additional shells! For example, they sell the blue-leg hermit crab and red-leg hermit crab for about a dollar each. Isolating a new hermit crab in a separate, smaller tank is a good idea before introducing them to the main colony, and it is also a good idea to stay vigilant in the first few days after a new crab is introduced to see if any fighting behaviors occur. The Ultimate Question: Should You or Should You Not Own A Hermit Crab Pet? Many believe hermit crabs are great starter pets and do not require a lot of work. This is not the case. At all. Hermit crabs are sensitive creatures who need the best care and attention to live and prosper. It takes work to set up the perfect “crabitat” and provide the optimum atmosphere and the right types of food, sand, and spare shells for your hermit crabs. One hermit crab is not enough. They do not do well on their own and need as many friends as possible. Research. Research. Research. There are many things that are toxic to hermit crabs such as tap water, painted shells, and more. Molting is a vital development for hermit crabs. They will need a large environment to do so (hint: a plastic container will not do). When purchasing a hermit crab, do not take the process lightly. Read up on the best and most ethical place to buy one before deciding to go to a souvenir shop or mall. Hermit crabs can be wonderful pets as they are active, sociable, and highly inquisitive. If you have the time and dedication to devote to making your hermit crabs’ lives as natural and enjoyable as possible, hermit crabs can make wonderfully rewarding pets.